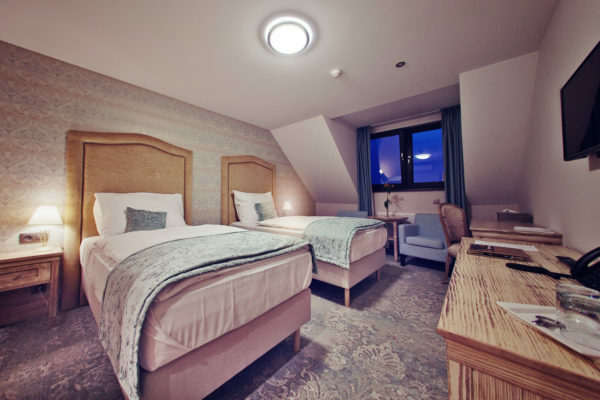 If you are on a business trip or looking for relaxation after a busy day, the modernly furnished rooms and suites provide you with superior comfort and relaxation. 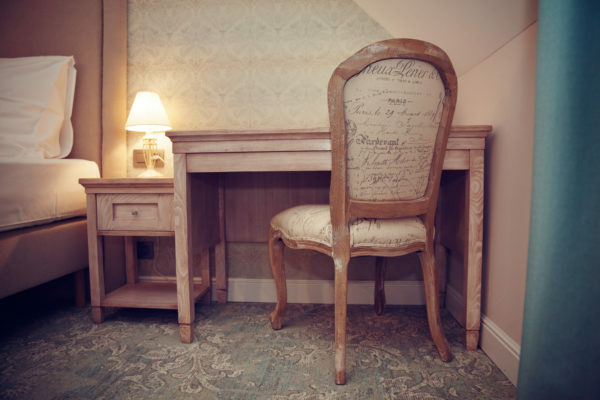 A touch of French countryside you will find in the rooms precisely furnished into the vintage style. 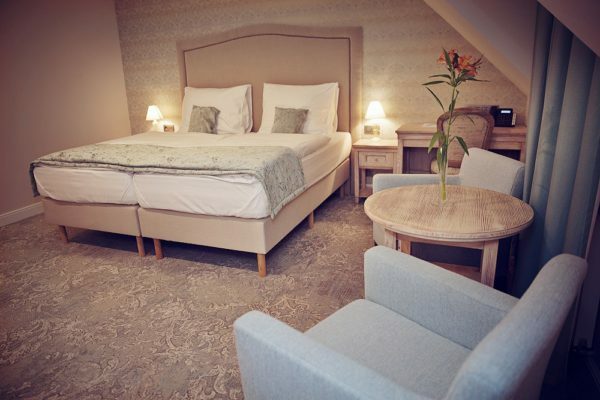 Cozy rooms perfect in every detail, with the highest comfort of our guests. 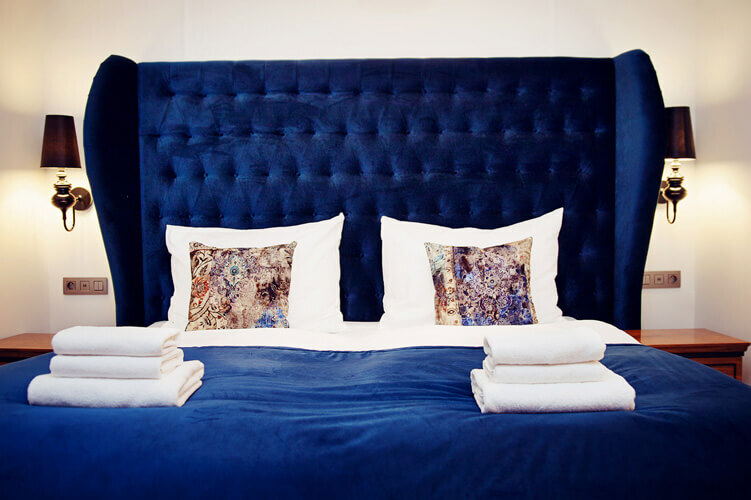 You will find everything you need on your business or private trip in your room. 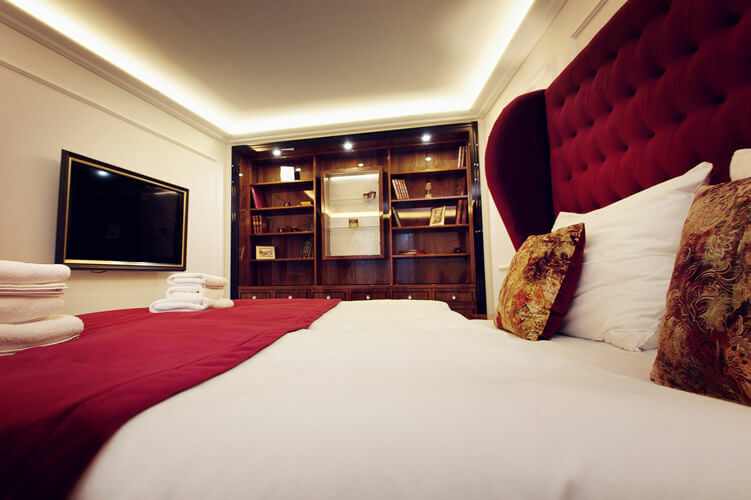 Pleasant sleep is guaranteed by a large king size bed. Large double and twin beds are available. 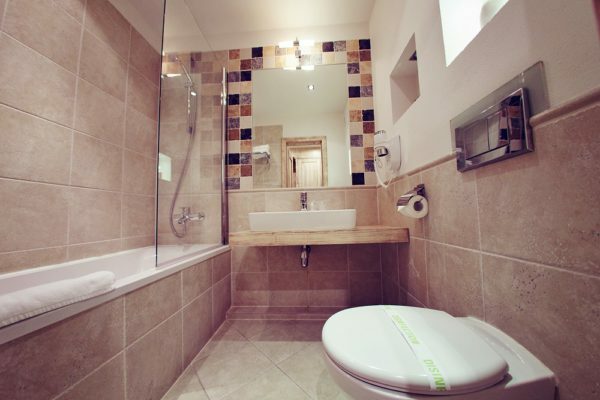 There is a private bathroom and toilet, air conditioning, minibar and safe. There is possible to be woken up by phone, or order complete room service. Stylish interior will get you.First-class comfort is guaranted with the furniture made of quality materials. Unique experience completes services and location. If you need to accommodate an important visit, or an important business partner, the answer is our exclusive furnished apartment. 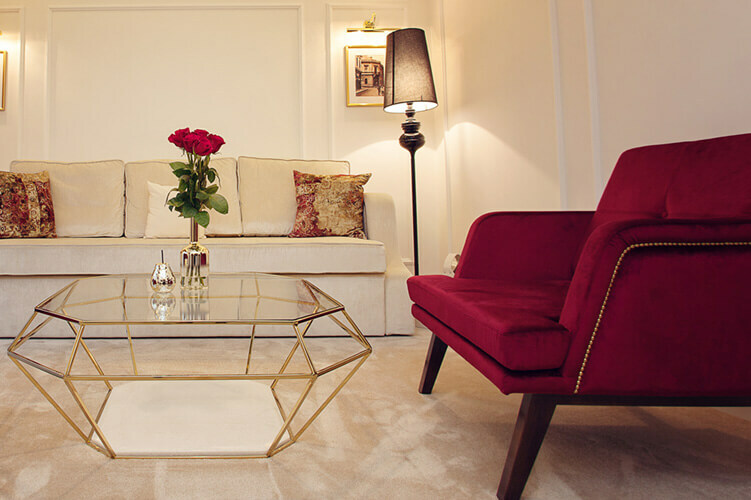 Enjoy prestige living, where you will feel royally. Spacious apartments with majestic space are extended with a living room. They offer seating on comfortable chairs and comfortable sofas. The apartments are tuned into royal colors of red, blue and purple. 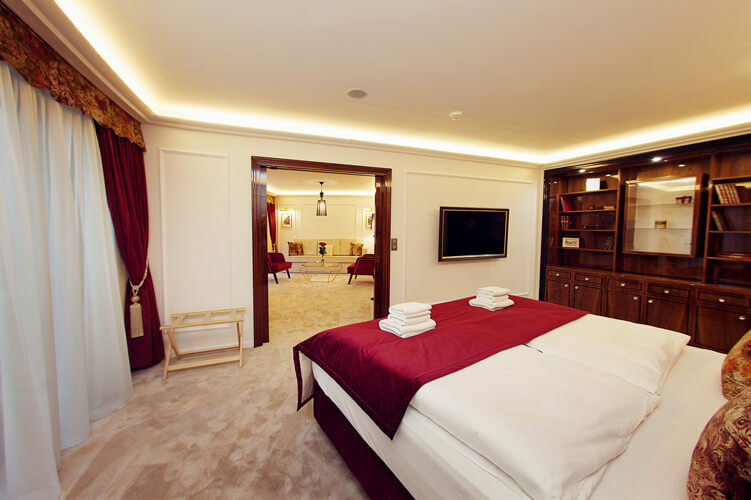 Luxury bedroom with rigorously selected design elements is hiding kingdom, which is waiting for your visit. 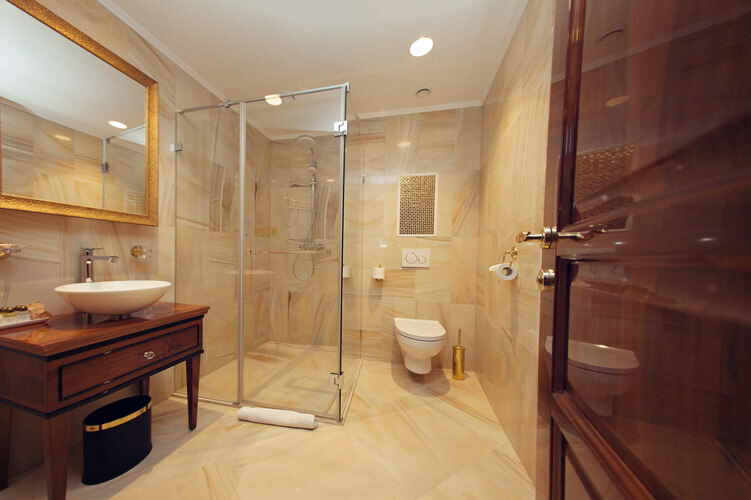 With entering into the bathroom your feeling of excellence will grow even more.